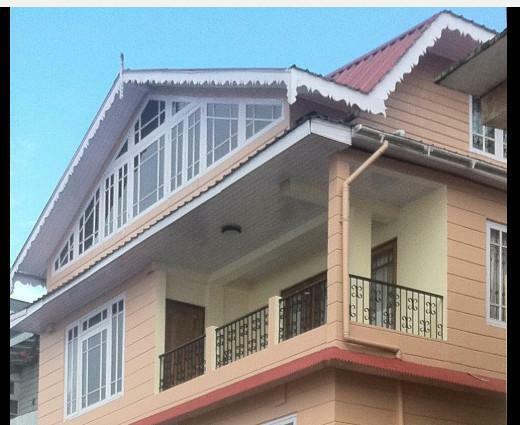 ﻿ The Pinewood Hotel, Darjeeling | FROM $10 - SAVE ON AGODA! "The manager is very competent, helping to make my two-week s..."
Have a question for The Pinewood Hotel? "Food was very nice = good cook!" 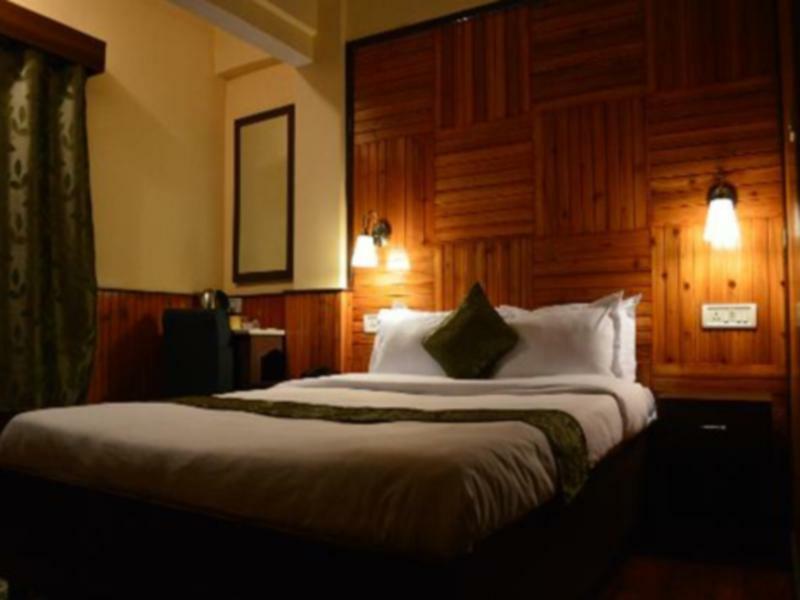 When visiting Darjeeling, you'll feel right at home at The Pinewood Hotel, which offers quality accommodation and great service. Situated only 1 Km from the city center, guests are well located to enjoy the town's attractions and activities. With its convenient location, the hotel offers easy access to the city's must-see destinations. Offering hotel guests superior services and a broad range of amenities, The Pinewood Hotel is committed to ensuring that your stay is as comfortable as possible. Guests of the hotel can enjoy on-site features like free Wi-Fi in all rooms, daily housekeeping, Wi-Fi in public areas, room service, airport transfer. Guests can choose from 11 rooms, all of which exude an atmosphere of total peace and harmony. Besides, the hotel's host of recreational offerings ensures you have plenty to do during your stay. Superb facilities and an excellent location make the The Pinewood Hotel the perfect base from which to enjoy your stay in Darjeeling. "Very good stay in this nice and cosy hotel." Nice place to stay but weak internet connection. We have found one person to supervise all the quarries. Its almost 70-80 feet higher than normal gandhi road altitude level. Very good location near to mall road but at some height and there no no arrangement from hotel side to carry the luggage from main road.Other wise stay was very good.staff was very cordial and supportive. Nice room, friendly staff. Well maintained. Just be aware that Darjeeling is very cold, especially from 4 pm onward and a room heater has substantial surcharge (Rs300). Very steep uphill or by stairs to reach the lane where this (and several other) hotels are located. We have been there for 4 days, the room #206 for first 2 days was good, but room #204 for the last 2 days which cost higher as it is window view, I am not happy only that the room is actually smaller than the previous one, hair dryer is not working, the power point near the dressing table is not working too ! however, staffs, cleanliness and location are good, breakfast is monotonous, they should have more choice to chose. Room charge is higher than Bangkok and Kuala Lumpur, which is not reasonable, although it is peak season on June. Indeed, all hotels rate in Darjeeling are too expensive ! It should be Rs 1000 less from current rate. food was very nice = good cook! no hot water; except the shower tube, all other tubes were leaking; 20 square m must be for the room and bathroom together - so it's really narrow; ok for one night. Dear Mam, We apologise for the inconvenience caused by one of the leaking knobs below the wash basin. We were not aware of it and had you brought it to our attention we would have got it changed. As for the size of the room, it is a room for single occupancy and is about 120 sqft. excluding the bathroom. we have asked agoda to rectify the built in area of the room. Owing to its size, we let it out only to single travellers only and is priced much lower than our regular rooms. We are a budget property and we do not have huge, expansive rooms. However our rooms are clean, cosy and fitted with all modern amenities and we strive to make our guests as comfortable as possible. We thank you for staying with us and enjoying our food. 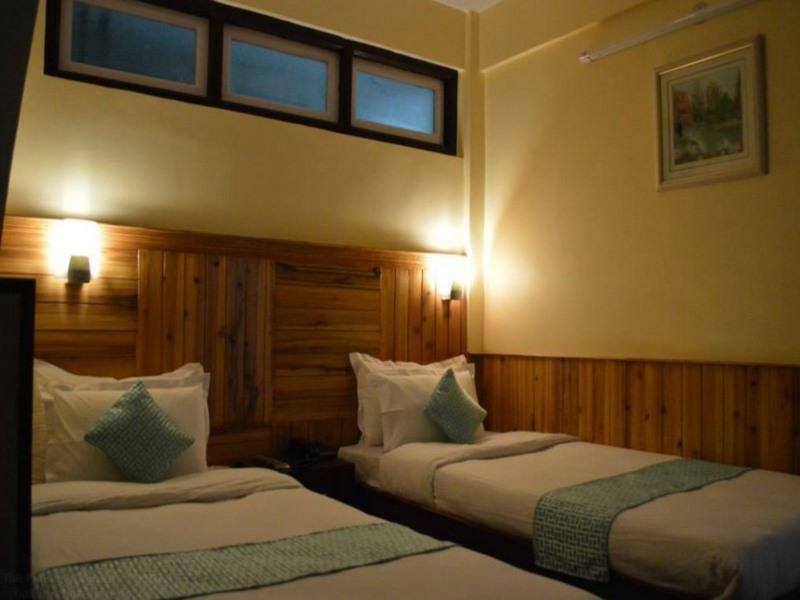 It's a small boutique hotel with just eleven rooms, but does everything necessary to make the traveller comfortable. The manager is very competent, helping to make my two-week stay enjoyable. 10minit walking from darjeeling town.not east to find this hotel,but u can ask local people around there.. Very good stay in this nice and cosy hotel. Only minus is the heater which is not included in the price. It's a good way up the hill so for an old guy like me it wasn't easy,that being said it was the beginning of February and it was cold although the owners did offer me a heater with no charge.the two guys that worked there did everything they could to make my stay a pleasant one.the breakfast was more than adequate. Not great:-( the hotel is located in a place where car is not allowed because of VIP road. So every time you need to go out and catch a car, you need to make a steep walk. Also the room does not provide heater, you need to pay extra if you need it. Over all did not enjoy at all. Except for food. The Pinewood Hotel only recently opened in the Spring of 2014 so everything looks clean and new, and the staff tries very hard to please. The hotel is centrally located but Darjeeling is built on a hillside so most streets are a steep uphill or downhill climb. A taxi can take you up a steep road to about 50 meters from the hotel. But the most direct way to get to the hotel is to walk up some stone steps – 133 of them -- straight up to the front door of the hotel. We had reserved a Deluxe room and we had a large window with a nice view (when there was no fog). The least expensive rooms seemed to have windows facing walls. Whenever we needed hot water, we had to ask reception to turn on the water heater. There are not many good restaurants in Darjeeling but the Pinewood Hotel restaurant has a short menu of tasty dishes. Meals must be ordered in advance – by 19:h00 at the latest. Internet connection in the lobby worked well. We recommend the Pinewood and would gladly stay here again. Good service, 3 star standard, very clean, comfortable beds, clean toilets, very nice breakfast, decent food with average price, very good staff, reception and manager. Free wifi in the lobby. Will definitely recommend this hotel. Only negative: it is 5 mins from chowrastha but that 5 minutes will be bit painful so 1 star less for the location and cheapest room is very small and TV is at wrong wall. Its a budget hotel priced as premium, I paid 3500/- per night for a small room which claimed to be the b" Super Deluxe View" room. The reason of selecting the room is to have a clear view of the hills but the moment you open the windows you will see the asbestos roof of other buildings. Major shock is, it is inside a bye lane, vehicle will not go upto the hotel, adding to the misery the main road which lead to this by lane also been blocked by administration. So you are in soup with luggage and kid. Rooms are very small but well build with good linen and fixtures. Staffs are well behaved and owner’s personal attention kept it very clean. Breakfast was great. Det var bra mat, men rommene var litt slitne. Ikke gi fra deg skittentøy da jeg fikk det tilbake etter 2 dager og dem var ikke engang tørre.